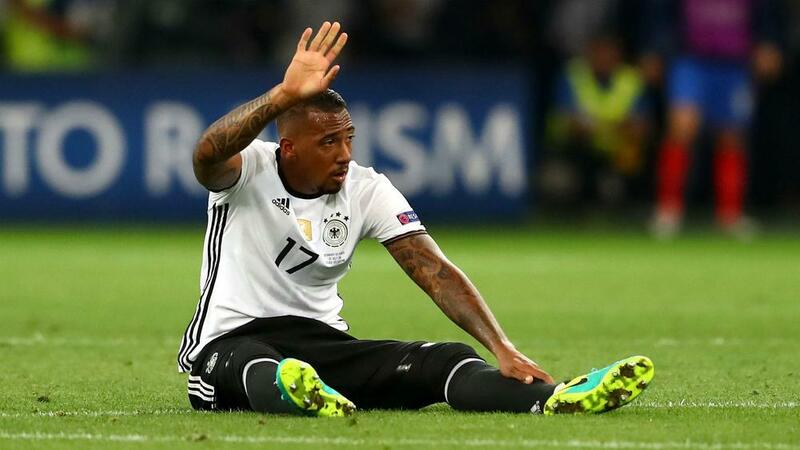 Jerome Boateng says he could miss the start of the new season with Bayern Munich after suffering a thigh muscle injury at Euro 2016. The center back had to be substituted in the second half of Germany's 2-0 semifinal defeat to France at Stade Velodrome on Thursday. Bayern's 2016-17 campaign begins with a Super Cup showdown against Borussia Dortmund on Aug. 14, followed by a DFB-Pokal tie at Carl Zeiss Jena five days later and the visit of Werder Bremen to Allianz Arena in the Bundesliga on Aug. 26. Asked by reporters if he will return in time for the first competitive matches under new head coach Carlo Ancelotti, Boateng said: "This will be tight, I cannot promise it." The former Manchester City player had been carrying a calf problem going into the European Championship.